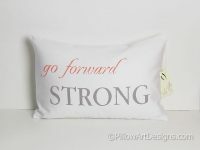 An inspirational message for anyone in this world who is facing challenges, or just likes to have some motivational encouragement in their daily surroundings. 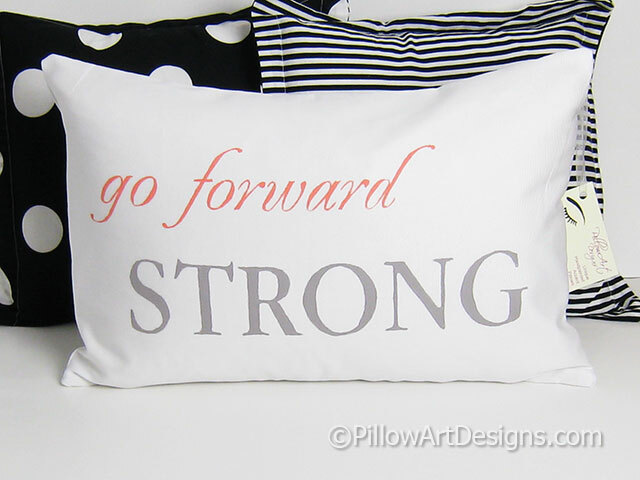 Perfect for runners, athletes or anyone at any stage of life. 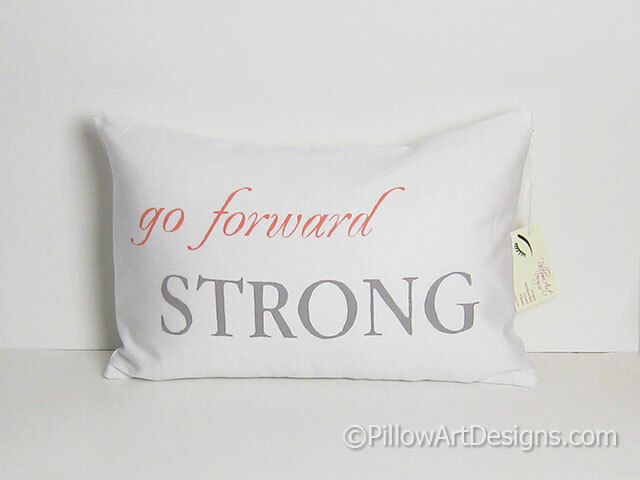 The words 'go forward' are hand painted in soft rosy peach, the word 'strong' is hand painted in stone grey. High quality fabric paints used, will not wash off, flake or rub off. Envelope closure, seams double stitched for durability, overcast to prevent fraying. 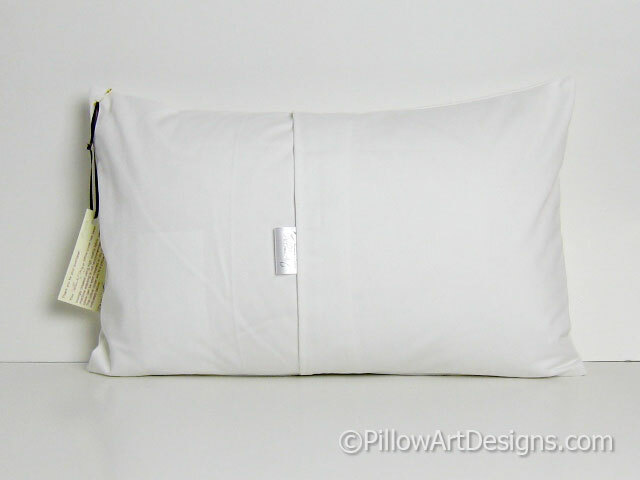 Available also with down feather insert as shown, price is an additional $10.00, plus shipping to your location. Please contact me if you wish to include the feather insert with your cover. Hand wash in cold, lay flat to dry. Avoid direct contact with painted area with hot iron.